Having grown tired of Sherlock Holmes, Sir Arthur Conan Doyle famously killed the fictional detective off in the story ‘His Last Bow’ (1917). Public outcry was so intense that even Conan Doyle’s mother implored him to revive Holmes. Agatha Christie was no less susceptible to the impulse to kill her most beloved character, but she had the good sense to employ some strategy about it. 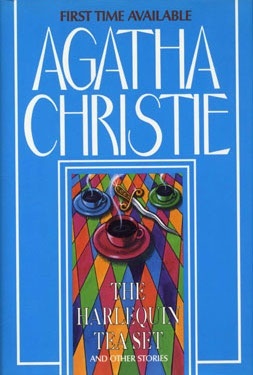 In the 1940s, Christie wrote Curtain, which featured Poirot’s death, but squirreled it away in a bank vault for three decades. While she intended to have the manuscript published posthumously, it would ultimately be released in 1975 when Christie’s age had begun to interfere with her ability to release a new book each holiday season. Upon the release of Curtain (1975), and the death of Hercule Poirot, The New York Times ran a front page obituary for the detective—their first ever obituary for a fictional character. Christie herself would pass away the following year, prompting the West End theatres to dim their lights for one hour in tribute. Christie’s interest in archaeology was first aroused when her mother’s illness drove the family to Egypt’s comparatively dry climate, but it would blossom following her second marriage to prominent English archaeologist Sir Max Mallowan. Following their union, Christie would spend many years accompanying her husband on his field expeditions, writing many of her books while staying in archaeological sites. Notably, these trips would provide inspiration for at least two of her novels, Murder in Mesopotamia (1936), and Murder on the Orient Express (1934). The Orient Express, as it were, was the train she and Mallowan often took to reach their dig sites. Agatha Christie was seemingly raised by a real piece of work. Christie's mother, long before the Egypt trip, had convinced both of her children (and herself, seemingly) that she was a psychic with the ability to predict the future. As part of the same general pseudo-religious tapestry that led to her belief in clairvoyance, Christie’s mother allegedly didn’t want her to learn to read until she was older (and insisted for a time on keeping her away from formal education outside the home). Luckily for hundreds of millions of readers across the globe, Christie was able to begin teaching herself to read early on. 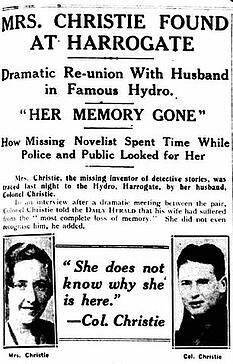 While Christie’s second husband was objectively an improvement over her first (whose request for a divorce led to Christie’s 11 day disappearance and possible bout of amnesia in 1926), they obviously did have some good times. To wit, Christie and her first husband were among the first in England to attempt surfing. Allegedly, the only Englishman to stand up on a surf board before Agatha Christie was none other than Prince Edward. Poison tended to be Christie’s murder method of choice, owing to an aversion (shared by her creations) to more graphic forms of violence. As luck would have it, Christie was able to gain significant expertise in poisons while working as an “apothecaries’ assistant” during the First World War and at the University College Hospital during World War II. So comprehensive was her knowledge of poisons that her writing was once crucial to solving an actual poisoning case. After doctors failed to diagnose a toddler dying from an apparent wasting disease, a nurse noticed that the child’s symptoms were identical to those of the victim in The Pale Horse (1961), in which thallium is used as a poison. Sure enough, Thallium poisoning was the culprit. Agatha Christie’s output over her decade-spanning career came out to 72 novels (not to mention short stories, poetry, and plays). Of those novels, HarperCollins recently collected only the Miss Marple ones into a single volume. It weighed more than 15 pounds, clocked in at over 4,000 pages, cost $1,500 dollars, and had to be packaged with its own carrying handle. Famously, Miss Marple was based on Christie’s grandmother. Hercule Poirot, too, may have been based on a real life Belgian policeman. But Christie’s propensity for cribbing personalities from real life often had more to do with her own frustrations than anything else. To wit, in Murder in Mesopotamia, the murder victim is based on one of the leaders on an archaeological expedition who refused to let her stay with her husband on the campsite. After the war, her novel N or M (1941) featured a Major Bletchley who was in possession of government secrets. Since Christie was known to be acquainted with one of the famous codebreakers at Bletchley Park, the character-name combination caused MI-5 to launch an investigation into the possibility that real military secrets had been contained within the book. It turned out the deeply unlovable character was named after Bletchley Park, but only because Christie had been inconveniently stuck there during a train journey from Oxford to London.